So I am firmly of the belief that you meet the best people on Twitter. I’ve met most of my CPs, lots of friends and just generally cool people there. So when I started talking with another writer about her book, I pretty much fell in love – both with her and the concept! 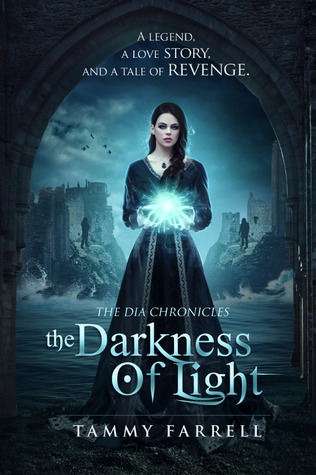 I am SO excited today to be interviewing the amazing Tammy Farrell, who’s book THE DARKNESS OF LIGHT just came out. And let me tell you. This book is fantastic! So of course I want you guys to meet her as well! Can you tell us a little bit about THE DARKNESS OF LIGHT and what inspired you to write it? The Darkness of Light, the first book in The Dia Chronicles is a labor of love that took me several years to complete. I developed the three main characters: Mara, Corbin, and Malcolm back in 2008. I knew who they were, what they looked like and what the dynamic between the three of them would be, but I struggled with their origins and their setting. At first they were vampires. In some versions the story was set in New York, Toronto and even Pennsylvania. Every version was contemporary and that just wasn’t working for me. Another barrier I kept running into was how to make them different from the vampires I already loved. Anne Rice is my favorite author and I think I kept trying to recreate her vampires. It never felt right. I ended up with a long bout of writers block after my mother passed away. Instead of forcing myself to write, I went back to school and studied English Lit and History. That was the best thing I could have done because one day, after many essays and exams, I realized I was ready to write again. Only this time I had the knowledge, guidance and tools to set my story in the right place. I sat down one morning and typed out the first chapter of what is now The Darkness of Light. The characters are the same, their story is the same, only this time they live in 6th century Britain and they aren’t vampires—they’re descendants of the ancient Irish gods. What is your typical writing process like? Are you a plotter or a pantster? Can you give us a peek into how you approach writing a book? I’m a bit of both. I definitely plan, and before I start writing I have a good grasp of the beginning middle and end. But as I write, everything in between the plan just comes to me out of thin air, and sometimes I have to just go with the flow. It took me a while to accept that. I’ve spent many days struggling with “the plan”. Now I know it’s okay to let it go. Do you have a favorite line or excerpt you can share with us? Can you tell us a little bit about your journey to published author? What made you decide to self-publish? I only queried for about 6 months. I know that’s not very long, but I didn’t have the patience or stomach for querying. When I hear the word synopsis I still shudder. I always kept self-publishing in the back of my mind as an option and one day, after many rejections, some requests, and some more rejections, I decided to try my hand as an indie-author. It wasn’t a hard decision. I liked the idea of having complete control over the process and, better yet, I didn’t have to wait the length of time traditional publishing takes to see my book come to life. I knew my queries/samples were getting rejected for a reason, so I hired Lauren Spieller to critique my book. Her notes and suggestions were great. I gave my manuscript one more overhaul, had it copy edited, found an amazing cover-artist and The Darkness of Light was ready. What were the best and worst parts of the process? The best part is when people you’ve never met, who don’t know you at all, read your book and like it. We expect our family and friends to like our books, but it’s very validating to an author when someone who owes you nothing likes your book. I can’t say there’s a worst part, yet. I don’t even mind when people don’t like my book. That’s part of the package. But the part I like the least is the pressure that comes after a debut release. While indie-authors don’t have agents, editors and publishers breathing down their necks with deadlines (most of the time), there’s still a sense of urgency to get the next book out quickly. I kept The Darkness of Light a secret while it was being written. Sometimes I miss having that to myself. I didn’t feel rushed back then. I have to keep reminding myself that I make the rules and to take my time. What have you learned since becoming a published author? Do you have any advice for new writers? I’ve learned to be brave and take risks. It’s the only way books get written. As for advice, I’d say: Write a terrible first draft, have fun with it and do it with a smile! It’s not as difficult as you might think. In your first draft things don’t have to make sense, timelines don’t need to add up, and characters can change without cause. Don’t worry about word count either. Just write it and don’t look back. It’s a lot easier to put together a puzzle when you have all the pieces, but you have to create them first. Save your tears for rewrites. That’s where the hard work comes in. What’s next in the writing world for you? Are you working on anything new? Right now I’m working on the second volume of The Dia Chronicles. The title is still up in the air, but the novel focuses more on Malcolm, the antagonist in the first novel, and his journey. It’s a very intense book and a lot darker than the first, but I’m really enjoying the story. It should be released by Fall 2014.
Who are your writing inspirations? What author (living or dead) would you love to meet in person? Well, Anne Rice is my favorite author, so I’d love to meet her simply to be in her presence, but if I could have a sit down, I’d have to say Philipa Gregory. I know there are some out there who deride the accuracy of her historical fiction, but I think she’s a wonderful writer and I’d love to pick her brain for an hour. THAT’S EASY! The Vampire Marius from The Vampire Chronicles, Blood and Gold. He’s the perfect tormented vampire. Isn’t Tammy fab? I’m so happy she agreed to this interview! 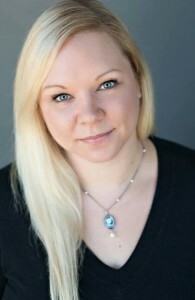 Tammy Farrell grew up in Orangeville, Ontario Canada where she discovered her love of writing, and all things related to Edgar Allan Poe. She now lives with her husband and four fur-babies in Greenville, South Carolina, where she teaches pre-GED English and attempts to learn French when she isn’t busy writing.